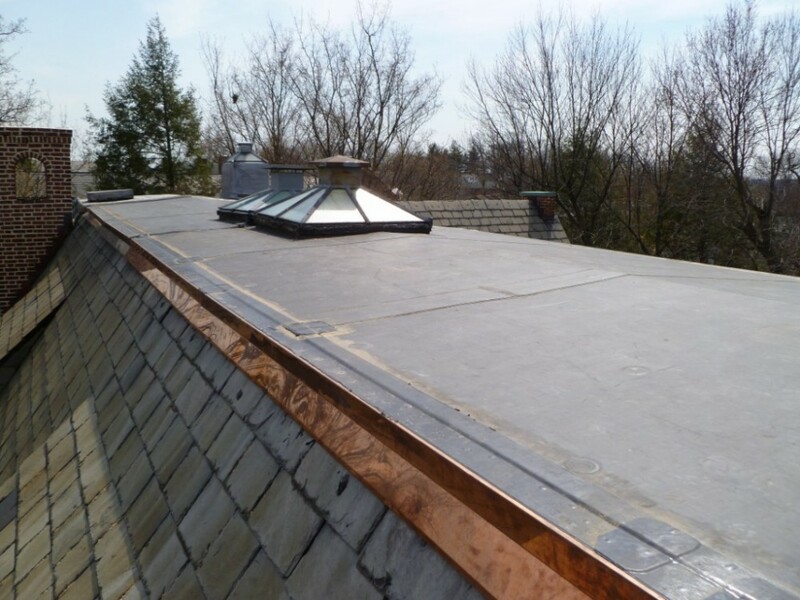 This project involved the complete tear down and rebuilding of a shared chimney between two residences, installation of new copper base and counter flashing, the removal of the existing flat roof and installation of a new EPDM roofing system. The project was difficult and challenging as it required extensive scaffolding to be erected on a two story town house and on steep slate roofs.The masonry work required the tear down of the existing chimney. The chimney had an unusual top consisting of four curved arches which required complete rebuilding. The masonry work needed to match the existing chimney and those of the other houses in this development.